Regardless of your position on climate change, or its cause(s), we can all agree that it is in our best interest to control and eliminate the number of toxins being produced by humans and released into the environment. It is demonstrable that temperatures in certain areas across the United States are steadily increasing during the summer months. Without commentary on the cause or potential outcome of climate change, consistently warmer temperatures do present an issue concerning the cleaning industry regarding the growth of bacteria. Industry Impact: The industry must become more skilled on the use of disinfectants such as changing disinfectants more frequently to avoid immunity build-up; carefully following dilutions ratios, and knowing where and when not to use disinfectants. 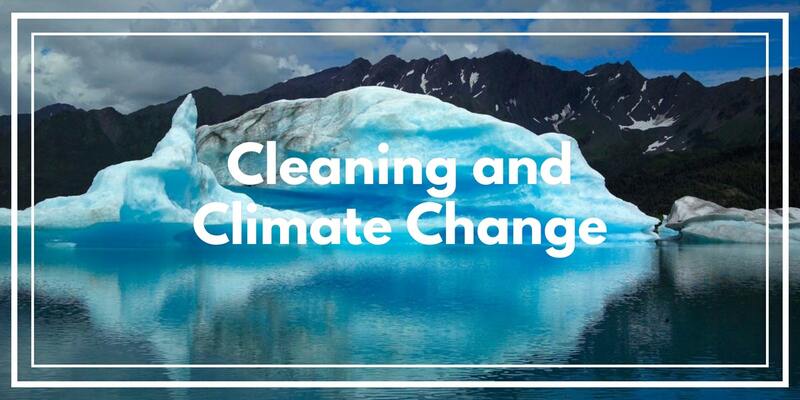 Further, the perception of climate change and corporate responsibility has had an impact on emerging worker demographics who have shown a clear preference for organizations that act in an environmentally conscientious manner, even in the cleaning industry. Industry Impact: Jan/san manufacturers and distributors will need to measure and monitor their sustainability efforts and then turn to "engagement tools" to display and share this information, proving their efforts to future and current workers. Fortunately, there are several cost-effective methods schools and businesses can adopt today that not only have a positive impact on the local and worldwide environment, but have been shown to increase student performance and the quality of worker output and job satisfaction. Conventional cleaning products contain numerous toxic chemicals that have been shown to contribute to severe health issues in humans, as well as presenting several challenges concerning air, food, and water pollution. Environmental impacts of cleaning agents are the consequences of chemical compounds in cleaning products. Cleaning agents can be bioactive with consequences ranging from mild to severe. Developmental and endocrine disruptors have been linked to cleaning agents. Green cleaning is an approach to redress or address the problems associated with traditional cleaning agents. Greenhouse Gases - Volatile organic compounds (VOCs) have a negative impact on ground-level ozone levels and have been shown to negatively impact indoor air quality (IAQ), which has been tied to the onset of asthma or asthma-like symptoms, as well as reduced cognitive functions and the quality and consistency of worker and student output. Petroleum - Due to the unsafe nature of conventional chemical cleaning products, especially of the commercial variety, products are not commonly shipped in concentrated form, resulting in unnecessary vehicle traffic that contributes to air pollution. Conversely, green cleaning products are environmentally safe and can be sent and stored in a concentrated form and typically has a longer shelf-life than their counterparts, leading to additional savings with storage costs. Packaging - Commercial green cleaning product manufacturers are quickly trending towards sustainable packaging materials that are primarily manufactured from recyclable materials, which can be reused, repurposed, or recycled after use, thus diverting waste from landfills. Reducing the number of cleaning products used to clean and disinfect a facility space by researching and implementing multi-surface green cleaning and disinfectant products. Ensuring that the products that you purchase are manufactured by an organization dedicated to sustainable business and environmentally conscientious practices. The use of green cleaning products has become more popular with consumers, students, their parents, and emerging workforce demographics. Green cleaning products make a statement. Environmentally-friendly products reduce the risk of harmful chemical interactions. But more importantly, by going green, [an organization] makes a positive statement to the public that they are trying to be responsible guardians of the environment. If you would like more information regarding the positive environmental impact of green cleaning services for your facility and its occupants--contact us today for a free quote!